FP2020 is committed to exploring ways to measure the human rights dimensions of family planning. This year, we looked deeper into the available data for findings on equity and contraceptive method mix. We present first our findings from disaggregating mCPR by the variables of wealth (wealth quintile) and residence (urban or rural). 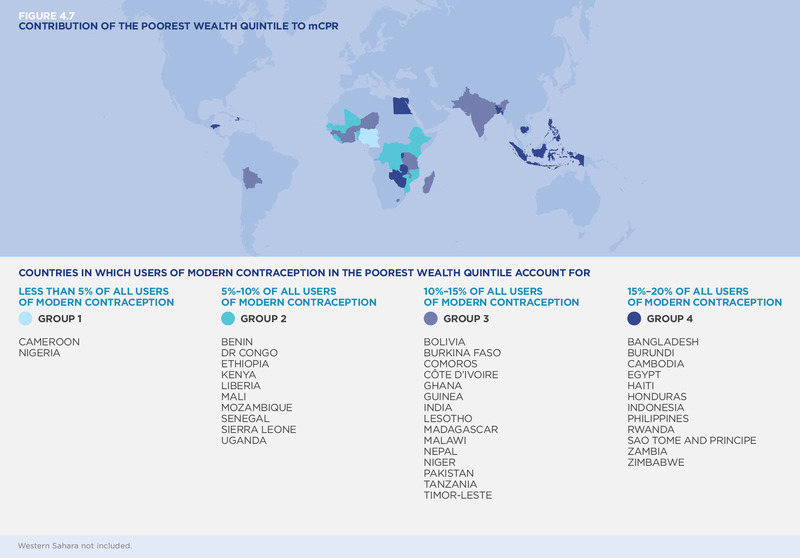 This analysis is critical in the context of expanding resources for family planning programs, as it can help us understand whether investments in health are shared equitably as contraceptive prevalence increases and the extent to which vulnerable groups within national populations are benefiting. This is followed by our findings for Core Indicator 1b: Percentage distribution of users by modern method of contraception.